Remaining in Croatia and opening a brewery thanks to European funds. 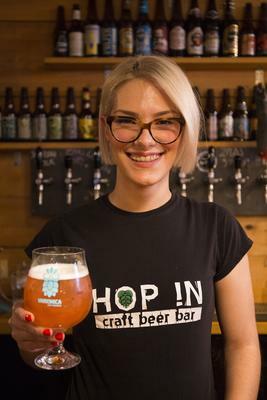 The phenomenon of craft beers – increasingly popular in the young ex-Yugoslav republic – seems to challenge two great truths of contemporary Croatia: the scourge of youth emigration and the country's inability to absorb the European funds at its disposal. The stories of Barba, Bura, Plavuša, Nova Runda, Varionica, Zmajsko, and other craft beers that have recently popped up on the other side of the Adriatic speak of Croatian youths who have decided to stay in (or return to) their country and pursue their passions, often with the help of EU funding. These entrepreneurial adventures have many aspects in common and, although they remain an exception in the Croatian economy, represent a good starting point to tackle some of the problems that have characterised Croatia since its entry into the EU in 2013. In Dalmatian dialect, “barba” means "uncle" or "old man", and also indicates the captain of a ship. Since 2015, it has also been the name of a popular craft beer from Split, created by Siniša Andjelić in collaboration with his uncle. Siniša, now 33, tasted his first "homebrewed", or home-made beer, abroad. In 2013, when he was living in Norway, a friend showed him his craft workshop. "He made beer directly in his room, to the point that his girlfriend asked him to choose: either me, or beer! And they split up...", recalls Siniša, amused. Back in Croatia, he started "studying homebrewing" and doing the first experiments. "My uncle was at my side since the first failures", he says. In 2015, things sped up: the "Barba" brand was registered, production began shortly thereafter, and in spring 2016 the first bottles were sold. Today, Barba produces just under 100,000 litres a year and employs five people, although for Siniša Andjelić it remains "a hobby" rather than a full-time job. "For almost a century in Croatia, the debate was between 'I like Ožujsko' or 'I prefer Karlovačko'. Today, a new craft beer peeks out every week! ", Siniša jokes. The sector is indeed very dynamic. In the same period in which the first bottles of Barba arrived on the shelves in Split, a few hundred kilometres to the north, in Poreč, the label "Bura" appeared. Conceived by Alessandro Zecchinati, Claudio Rossi, and Veronika Beckers – two Italians and a German-Istrian young woman – "Bura brew" was created in 2015. Inspired by the famous Adriatic wind, the Poreč beer also hides the story of a return from abroad. After meeting in Dublin, Alessandro and Veronika (now husband and wife) decided to leave their jobs in IT and open a brewery in Istria, where they used to spend their summer holidays. In just a few years, production reached 50,000 litres a year, making its way to over 120 bars, shops, and restaurants in Croatia, Italy, Switzerland, and Austria. "People are tired of drinking bad industrial beers", says Alexander, explaining Bura's success. Barba and Bura, however, are two non-standard stories. Thousands of Croats – especially young people – make the opposite journey, moving abroad for good. A recent report by the European Social Policy Network (ESPN Flash Report 2017/50 ) recalls that "although statistical confirmations are limited, several elements suggest that Croatia has been going through a new wave of emigration since joining the European Union on July 1st, 2013". Hard to quantify precisely, emigration is a regular topic in Croatian newspapers. The ESPN report notes that, while the Croatian Statistical Office (CBS) registered 29,000 emigrants in 2015 and over 36,000 in 2016, the authorities of Germany and Ireland – two of the favorite destinations for Croats – register even higher numbers. For example, Berlin reported an increase of 34,000 new Croatian residents between 2014 and 2015, while Dublin saw the Croats grow from about 1,000 in 2009 to over 5,000 in 2016 (for the CBS, no Croat left for Ireland in 2015) . In short, figures are discordant, but the alarm in Zagreb has already been sounding for a while. The Plenković government increased the budget of the Ministry of Social Affairs, renamed "Ministry of Demography, Family, Youth, and Social Policies", while daily Jutarnji List has recently unveiled that, according to some new statistical estimates, Croatia would count today less than 4 million inhabitants, compared to the 4,28 millions of the last census in 2011. The entry into the EU, with the consequent access to free internal circulation, has exacerbated the phenomenon. Departures are not just explained by youth unemployment, with its annual average of 27% (although higher in winter and away from the coast), but also by the relatively low wages compared to the rest of the EU (the average salary in Croatia is around 750 Euros a month), and a less tangible "lack of prospects". In surveys conducted among young people intending to leave, the political aspect is actually mentioned regularly, and so is the desire to live in a "functioning" country and where education is valued. Staying in Croatia and starting a business is not easy. Davor Simičić and Matija Mrazek, the creators of the Varionica beer, remember well the difficulties of the first years. Originally from Split and Zagreb, they registered their brand in 2014, "after a year of planning and fighting with the bureaucracy". Even after the launch, "the first two years were tough", recalls Davor Simičić. "Half of the production just covered the costs", especially those related to the rented brewery. But the arrival of European funds gives hope for a better future. Six months ago, Varionica got the green light from Brussels for a 4.8 million kuna loan (about 650,000 Euros) for the construction of a new plant, with a capacity over three times higher. Today, the company produces 120,000 litres of beer a year: "We have trouble meeting the demand", assures Davor. With its four current employees, Varionica is preparing to take on another six by the end of 2018. Like Davor Simičić and Matija Mrazek, Miroslav Šuvak also intends to use European funds to build a new brewery. 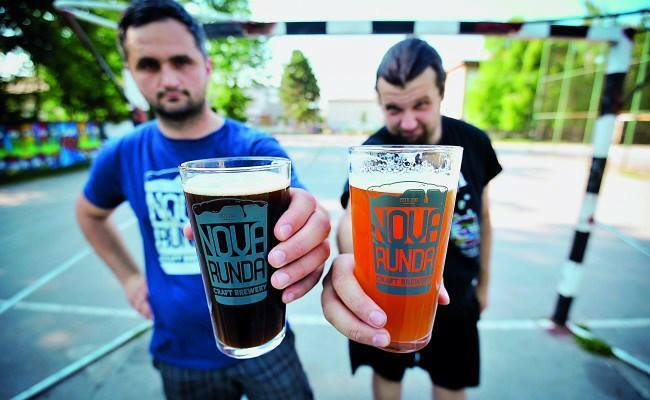 Together with six other people, Miroslav is at the origin of Nova runda, one of the most popular craft beers in Croatian bars. With a production that does not include cans or bottles, "this unfiltered, unpasteurised beer can only be found at the counter". This choice might seem radical, but that has actually paid off over the years. Created in 2013, Nova Runda produces as many as 161,000 litres a year. Having been among the first to open a craft brewery and call himself "an ambassador of craft beers" (as he spends most of his time "educating bartenders, waiters, and local owners"), Miroslav Šuvak could pave the way for his colleagues also as regards the use of European funds. In fact, in the country there are not enough projects to absorb the total available funding. Last March, Croatian Minister for European Funds Gabrijela Žalac said that her country has absorbed only 39% of the 10.7 billion Euros available for the 2014–2020 period. "The goal is to stipulate contracts for 60% of the available funding by the end of the year", Žalac promised (and 90% by 2020). The bad absorption of European funds was also recently mentioned by governor of the Croatian Central Bank Boris Vujčić, when commenting on the positive impact of Croatia's entry into the EU five years ago (exports increased by over 40%). Prime Minister Andrej Plenković himself, presenting the new Economy Minister Darko Horvat at the end of May, expressed hopes that the new minister will contribute to a "better absorption of European funds", as recently encouraged also by the European Central Bank. This delay in the use of funds has its roots both in the fact that the pre-accession funds and those of the previous programmes had not been completely exhausted within the scheduled time frame, and that the know-how necessary to apply for EU funds is only slowly being built up. As with youth emigration, again the experience of young master brewers stands out. Applying for funding in Brussels remains a complicated process ("two years of work", assures Davor Simičić of Varionica), but not impossible. And once obtained, European funds open up new opportunities. Five years after Croatia's entry into the EU, then, we cannot but toast to the first five years with a Croatian craft beer, and hope that the example of this small growing sector will bring the rest of the country with it. Živjeli! This publication/translation has been produced within the project The Parliament of rights, co-funded by the European Union. The contents of this publication are the sole responsibility of Osservatorio Balcani e Caucaso Transeuropa and its partners and can in no way be taken to reflect the views of the European Union.